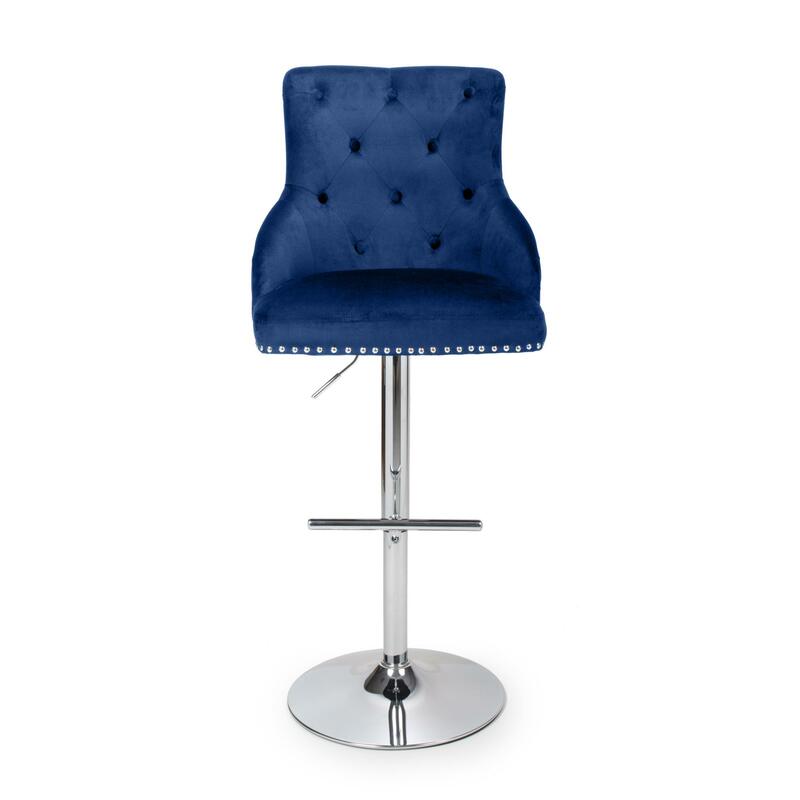 The Rocco Blue brushed velvet bar stool is a very stylish kitchen stool that is sure to make any seating space the focal point of the room. Its unique design incorporates a full seating area with back rest, and a classic chesterfield inspired button back design. 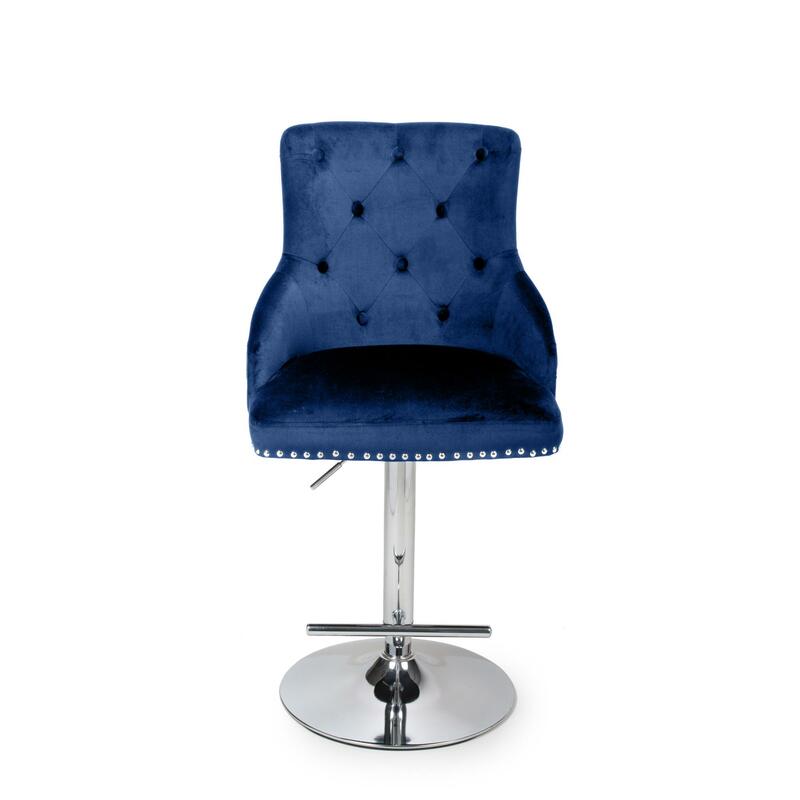 The Rocco Blue brushed velvet Swivel bar stool is a very stylish kitchen stool that is sure to make any seating space the focal point of the room. The quality Brushed Velvet material is thick and soft to touch, with a durable velvet finish designed to last. The seating area and Back rest are also padded with high density foam for a very comfortable sit. The Seat also swivels through a smooth 360 degrees. 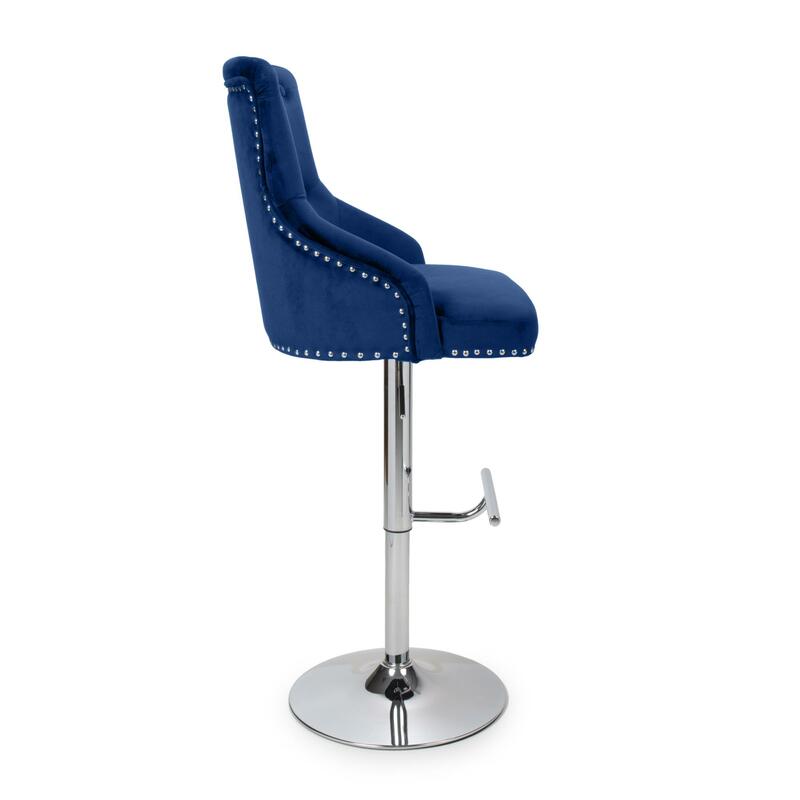 The attractive chrome base is fully adjustable and completes the look to a very eye catching bar stool. The Rocco Square Back Grey brushed velvet and Oak finish stool is a very stylish kitchen stool that is sure to make any seating space the focal point of the room. Its unique design incorporates an elegant classic shape seating area with back rest, and a chrome ring pull on the back of the chair. For Full Description and Sizes please see below. The Alba Mint Green stool is a A Great Looking and very sturdy contemporary bar stool in a classic colour, combining the charm of real solid timber with strength of pressed steel. 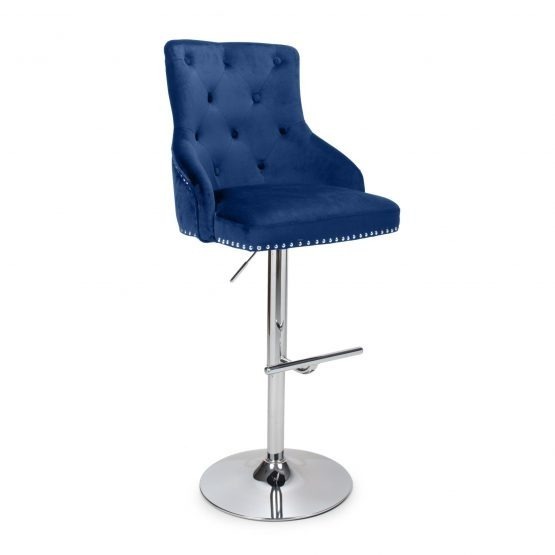 Designed for looks and style the bar stool will present extremely well in any setting. For Dimensions please see below. The Alba Bright Red stool is a A Great Looking and very sturdy contemporary bar stool in a classic colour, combining the charm of real solid timber with strength of pressed steel. 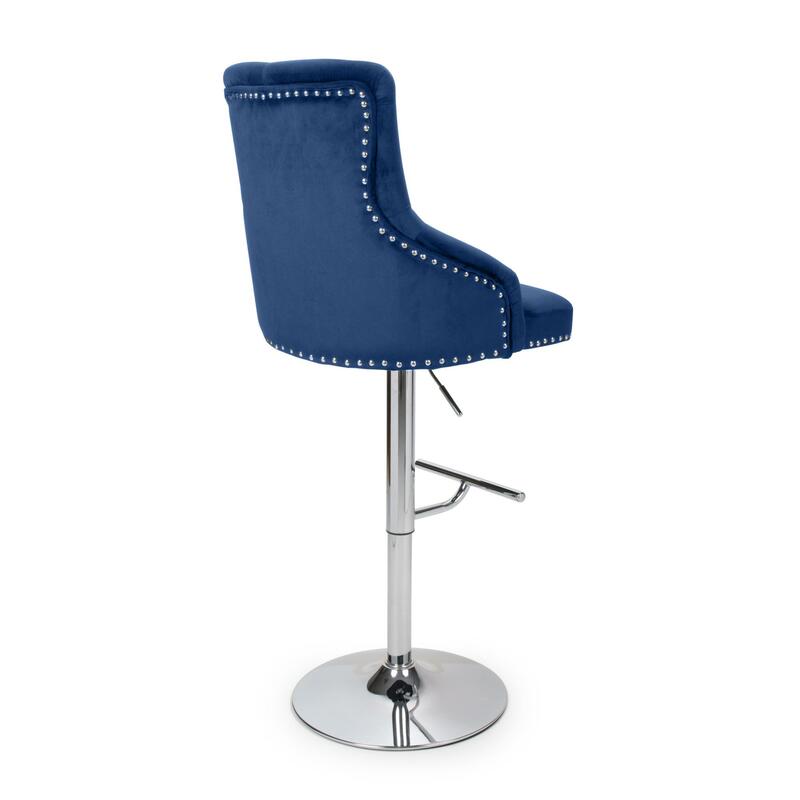 Designed for looks and style the bar stool will present extremely well in any setting. For Dimensions please see below. The Rocco Square Back Grey brushed velvet and Oak finish stool is a very stylish kitchen stool that is sure to make any seating space the focal point of the room. Its simple and elegant design incorporates a classic shape seating area with back rest. For Full Description and Sizes please see below. The Alba antique Bronze bar stool is a A Great Looking and very sturdy contemporary bar stool in a classic colour, combining the charm of real solid timber with strength of pressed steel. 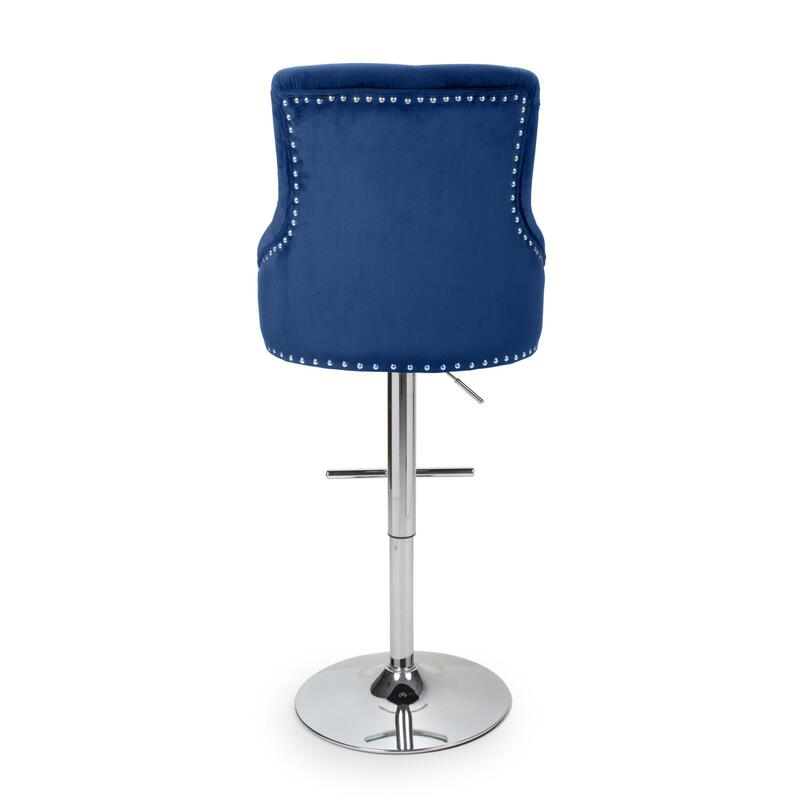 Designed for looks and style the bar stool will present extremely well in any setting. For Dimensions please see below. The Rocco Square Back Mink brushed velvet and Oak finish stool is a very stylish kitchen stool that is sure to make any seating space the focal point of the room. Its simple and elegant design incorporates a classic shape seating area with back rest. For Full Description and Sizes please see below.